I’d like to introduce you to Hafez. Hafez is a poet from fourteenth-century Persia. His interests include mythology, nature and women. He loves a social gathering, particularly if there is wine involved, though I’m sure he won’t mind my saying he’s no connoisseur. He thinks aloud, particularly in the battles of his heart, and is an argumentative drunk. Are you sold? You should be. Hafez’s poetry made for brilliant Bank Holiday reading. It was clear Hafez and I were going to have some fun together. My first impression of the poet was that he is, essentially, a party boy. These poems are, for the most part, based around Hafez drinking, his creative juices pumping as he drinks. Despite there being some 700 years age difference between the two of us, I felt an affinity with Hafez. I was surprised that he could be so unashamedly drunk and proud and honest, despite there being great distance between the two of us. Chaucer, another fourteenth-century poet and a lot closer to home for me, being associated with London and Kent, wasn’t so forthright and personable in his writing. 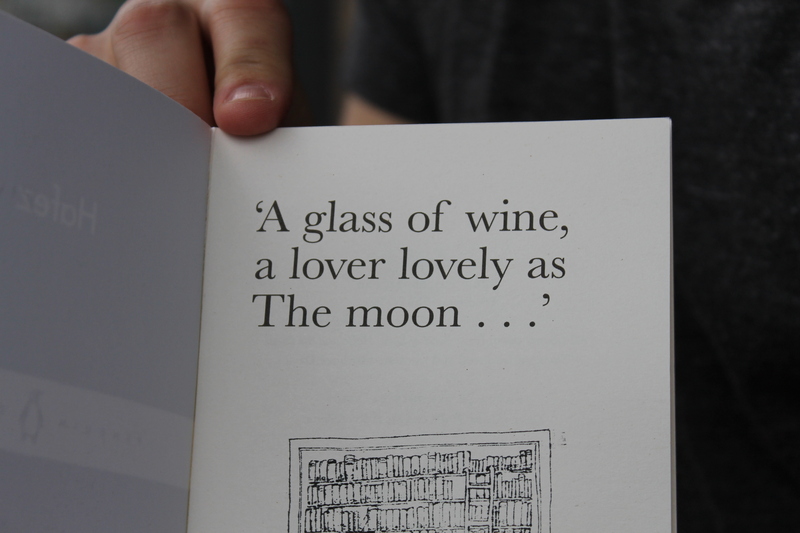 Hafez’s poetry is littered with references to him enjoying a glass of wine and being drunk. I don’t exaggerate – every other poem mentions booze. This is the first line of a four-line poem. It’s so short and final, giving a real bipolar edge to his writing. My stomach dropped when I read it and I flicked through to the following pages to learn whether Hafez found some shred of joy once more. I’m pleased to report he did. He doesn’t seem to do anything by halves. He’s mouthy, ecstatic, drunk, romantic, sweet, sad, bad. He is very human and I could quote so much of his poetry here because it’s brilliant. You should go and read it – you’ll find a real friend in Hafez. Love and wine seem to be his lifeblood, his religion almost. He worships the two in equal measure, and is equally infuriated by both, which I’m confident most of us can relate to. Despite Hafez’s moments of melancholy, his poetry filled me with such joy. Life doesn’t seem quite so bad when Hafez leans in with a glass of wine in hand. And so, to the celebration. And it did feel like a celebration, unlike when treading the pebbles for Hardy’s previously discussed poetry, which was mournful, poignant and reflective. After a busy Bank Holiday sightseeing, my man and I followed Hafez’s style and indulged in a bottle of wine. 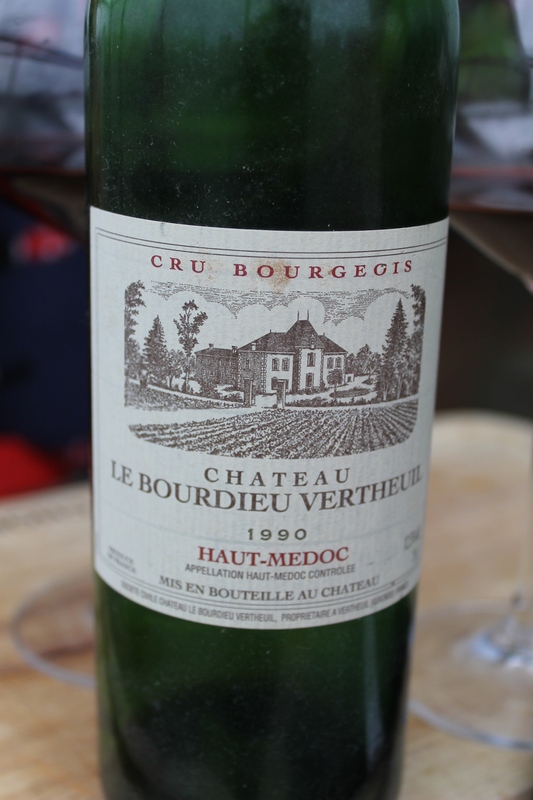 It was a rather special bottle, dating 1990, the year we were both born. Tim’s Grandpa, is Swiss and lives in a beautiful town called Montreux (also Freddie Mercury’s preferred place of residence). He purchased a hundred or so bottles in the year of Tim’s birth, as he did for all of his grandchildren’s birth years. 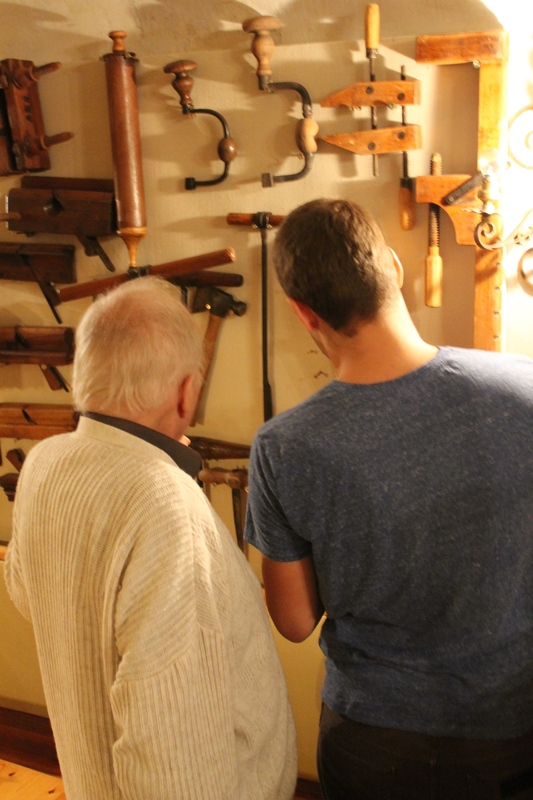 We visited Tim’s Grandpa at Christmas last year. Tim plucked a couple of these precious, dusty bottles from his Grandpa’s cellar, which is conveniently situated beneath his ‘caveau’. It’s like something from a book, this caveau. Down a flight of stairs you wouldn’t know existed, is an imposing wooden door. Behind this is a large room, the caveau, which can sit sixty or so on high days and holidays. 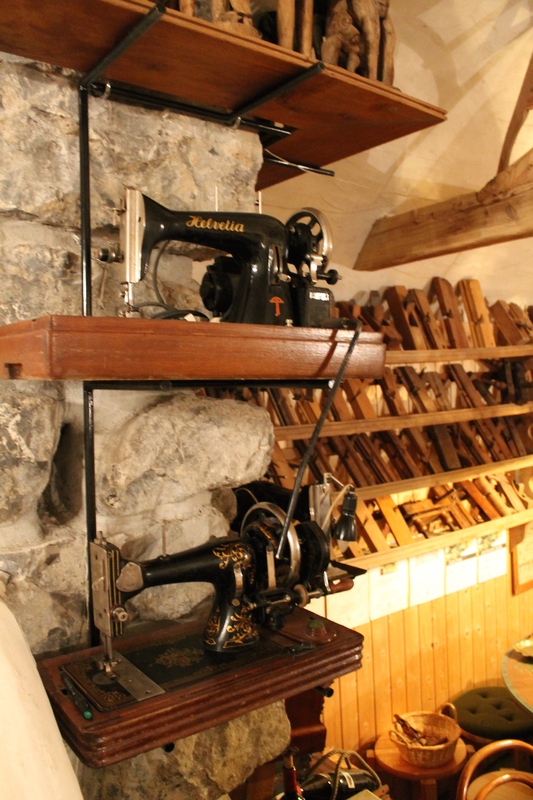 A lot of the furniture was crafted by Tim’s Grandpa, and tools, jugs and cupboards are mounted across the walls – plenty to gaze at while you swirl your glass. A small kitchen sits at the other end of the room, where raclette is prepared and empty wine bottles are discarded. Tim and I tucked into the 1990 bottle, intended for special occasions, with some Continental nibbles on the balcony of my flat after a busy day sightseeing. It was idyllic. 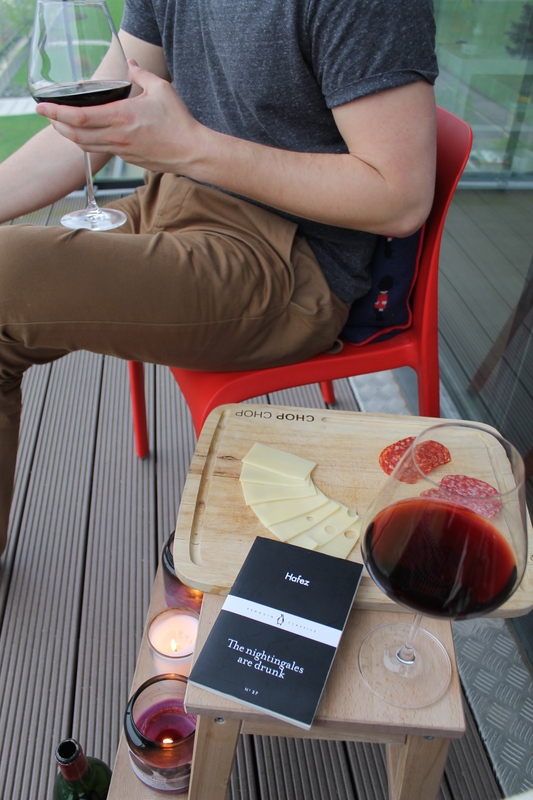 We sat, quaffed our wine, and I recited some of my preferred extracts from Hafez’s collection. I am joking. 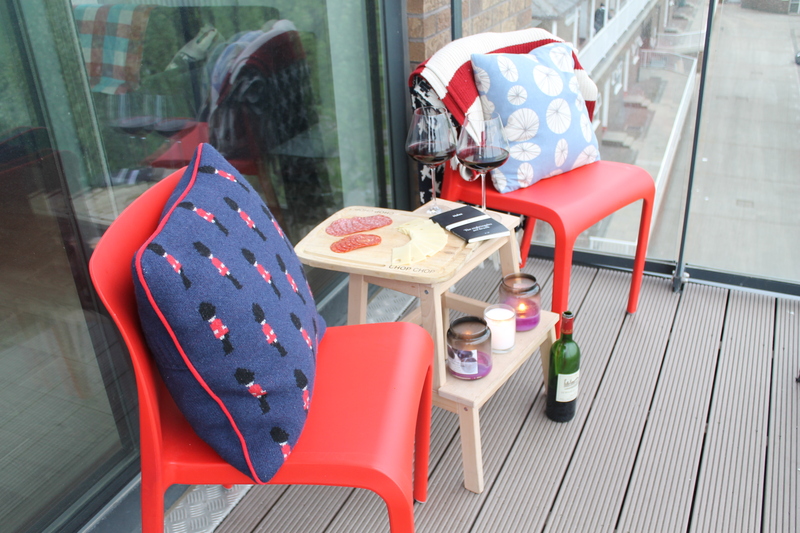 We did sit and quaff wine. But most of our attention focused on a group of hoodied men who were being questioned by two policemen in the park opposite my flat. Despite this, and the threat of light drizzle, we sat and sipped at our wine. And the drizzle did hold off. There’s no denying that it was very pleasant, and we felt rather smug. Two drunk nightingales. I‘m sure Hafez would have approved. Thank you Dad for picking this Little Black Classic. I raise my glass to you, and to Tim’s Grandpa also. 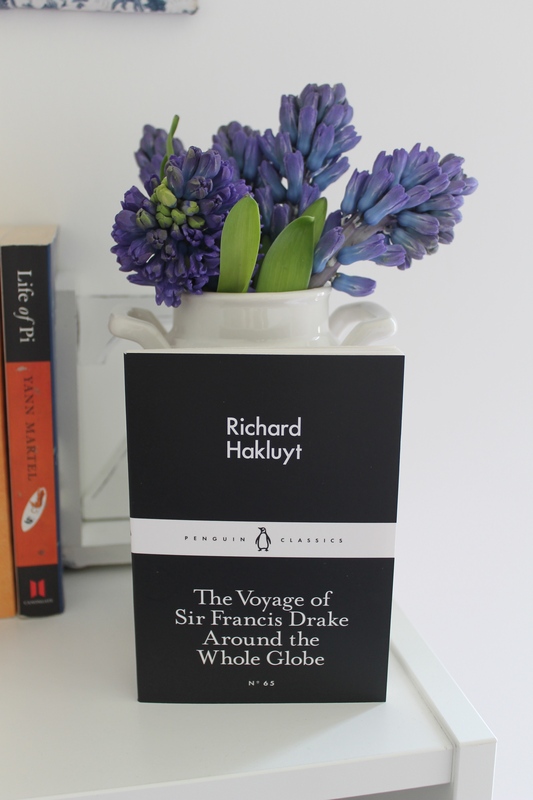 Next week I will be blogging about The Voyage of Sir Francis Drake Around the Whole Globe.